The recommended operating temperature range for an air compressor lies between 40 and 95 degrees Fahrenheit. For most of the year, it’s not a problem to stay within that range, but in the winter when the air outside reaches freezing temperatures, several things can happen if you aren’t prepared. The condensate in your compressor consists of mostly water, which means it will freeze if it gets too cold. A frozen condensate will affect the way your machine runs, in turn blocking the drainage or causing cracks or holes from expansion. Freezing weather also causes moisture control to be less effective, which will lead to corrosion. So how do you protect your air compressor from winter? There are a few things you can do now to get it ready for cold weather before it’s too late. The first question you need to consider is whether or not you even plan on using your air compressor in the winter. If the answer is no, then you can simply shut it off. When it’s not on, it won’t be receiving any energy, so you don’t have to worry about it freezing. Just be sure to drain the water from the lines. Before you start your compressor every morning, check it for excess moisture and icy build-up. Remove any ice you find and check for leaks if you find excess moisture. Neglecting your outdoor drain lines will lead to frozen pipes and an air compressor that either works more slowly or doesn’t work at all. Frozen pipes can be prevented by applying heat trace tape on exposed drain lines outside. Heat trace tape is wrapped around the pipes working to regulate the temperature, preventing frozen pipes. Weather stripping and insulation go a long way in protecting your air compressor during the winter. If there are signs of wear and tear or areas that are more worn than others then they should be repaired immediately. Having a leaking pipe is a pain any time of year, but during the winter it could be detrimental for your air compressor. Check your drains and pipes regularly for warping or cracking. Not only should you check them at the beginning of winter, but regularly checking them every few weeks throughout the winter season ensures everything stays intact and working properly. Replacing the filters on your air compressor is something that should be done on a regular basis, but it’s even more important in the winter. Cold weather causes the oil to thicken, which means it won’t flow as easily and forces your system to work harder. New filters will help offset the effects of thicker oil. If you’ve taken all of these necessary steps and you just can’t seem to keep your compressor from being effected by below freezing temperatures, you may need to install an internal heater or a heating cabinet. Putting your air compressor inside a heating cabinet will help to regulate the temperature of your system, in turn preventing maintenance issues. Having your system inspected and serviced by a professional at the beginning of the winter will ensure that any small issues your system may be having won’t turn into bigger issues when the weather gets cold. Winter is just around the corner. Protect your air compressor from frozen pipes, blocked drainage, cracks, and corrosion by following these simple steps. 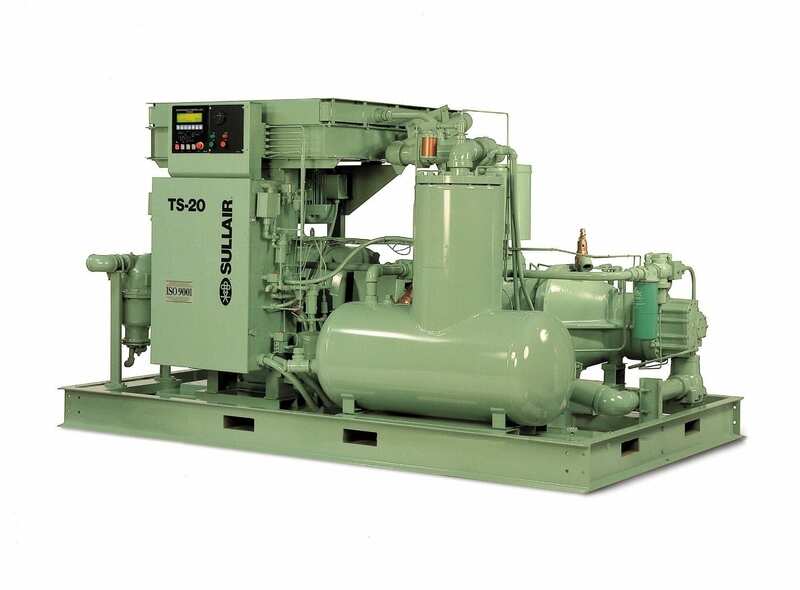 Call Compressor-Pump & Service, Inc. for help meeting all of your air compressor needs, be it purchasing a new air compressor or servicing an existing one.